Are you tired of my closet quilts yet? LOL I could do TBT posts for at least the next year and never repeat! 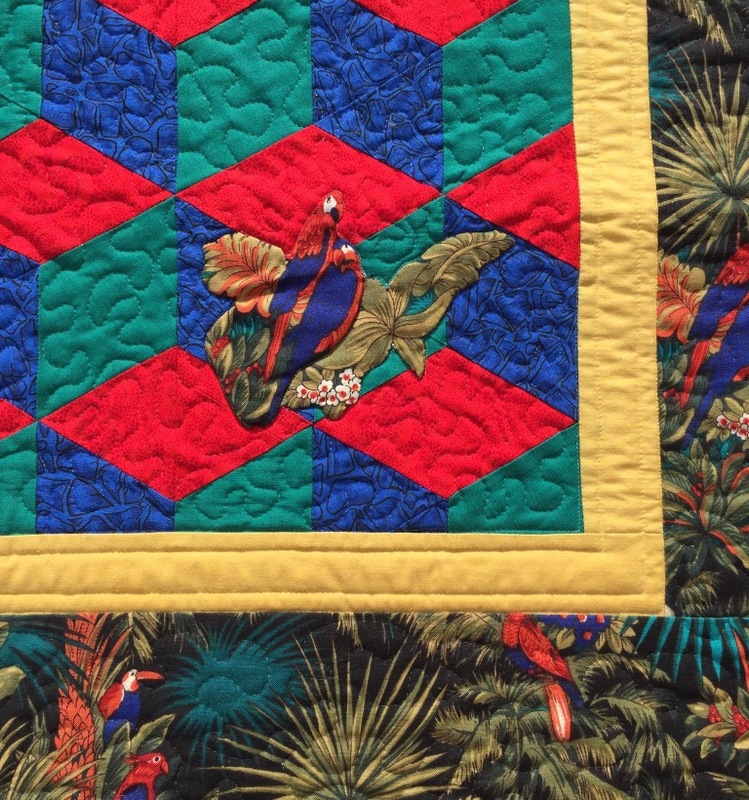 I remember making this quilt when we lived in France in the late 1990s. The teal fabrics were all from a single piece of fabric that had these gradated stripes. I am pretty sure I bought it at JoAnn Fabrics before we left. I couldn’t bear to not use those two leftover blocks so they went in the border. The backing fabric came from Ikea. And this quilt was made around the same time. I remember that it hung in my son’s room in France. That border fabric is an old Alexander Henry print and I thought I was so clever to applique a couple parrots onto the blocks! It is still just as bright as the day I finished it! 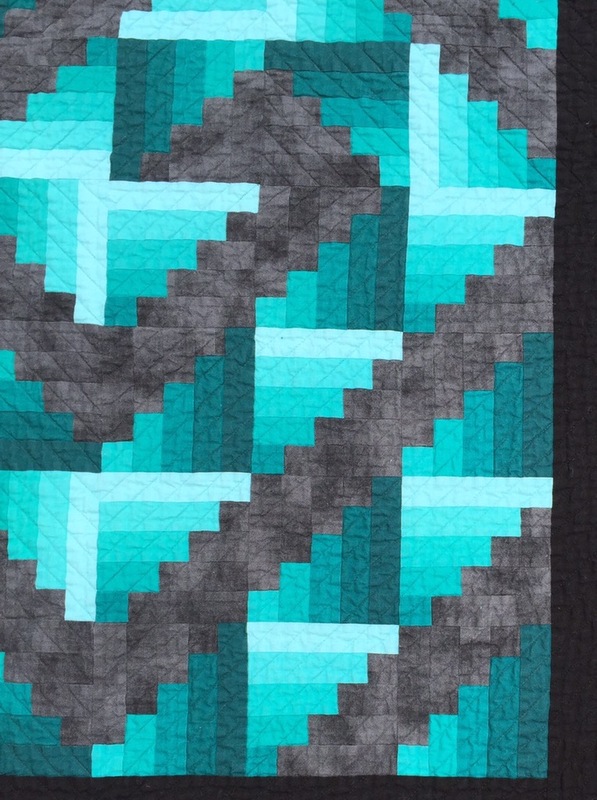 Some quilts like this one, I just don’t know what to do with now. I can’t just throw it out, but neither do I want to hang it in my house. It’s too small for a baby quilt and I am not sure I would give away something this old anyway. First world quilting problems, I know! 7 Responses to Throwback Thursday! Ditto to the above comments. 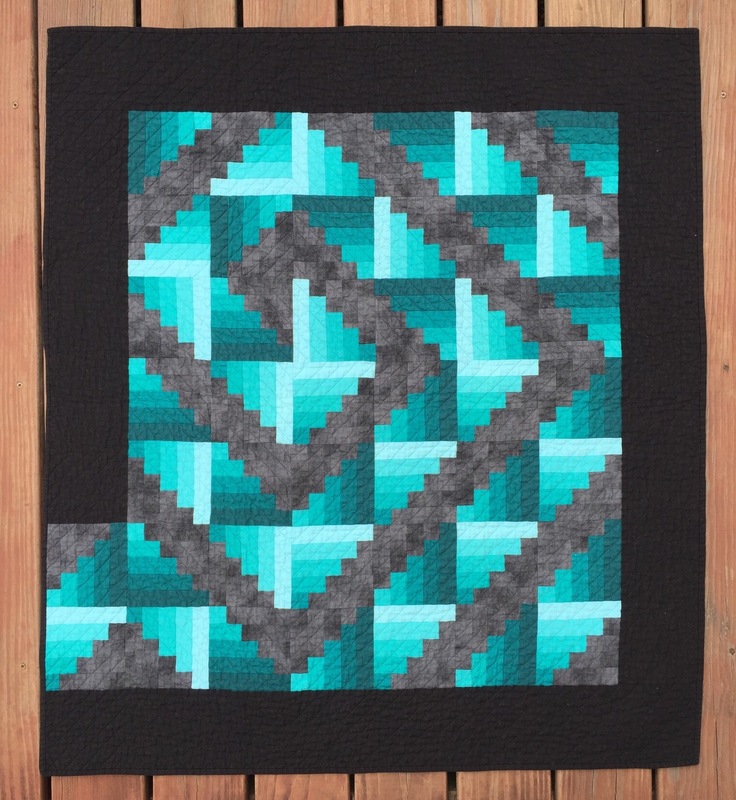 I would never tire of seeing your quilts, no matter when they were made! 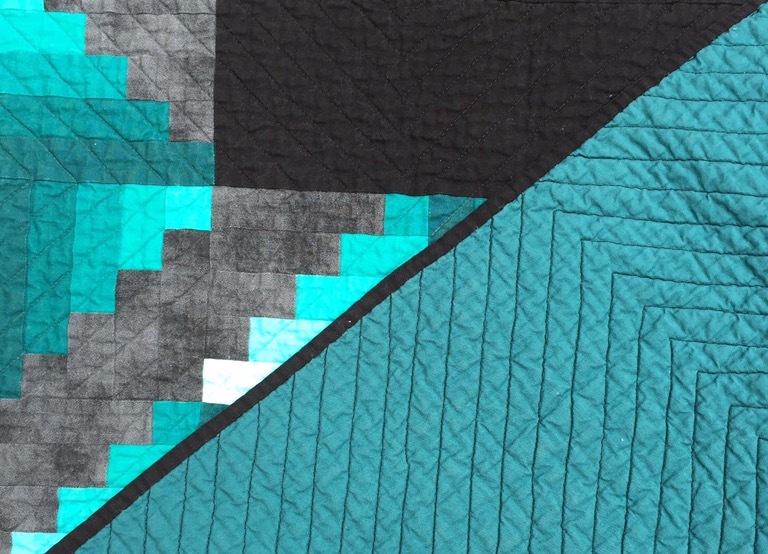 Keep on posting all that quilty inspiration!! Like others have said, I never tire of seeing your TBT quilt, Katy You can always try to sell the ones you no longer care for on Ebay. I will never tire of “throwback” anything. I love history so I suppose it is just natural that I love to dig out old things. 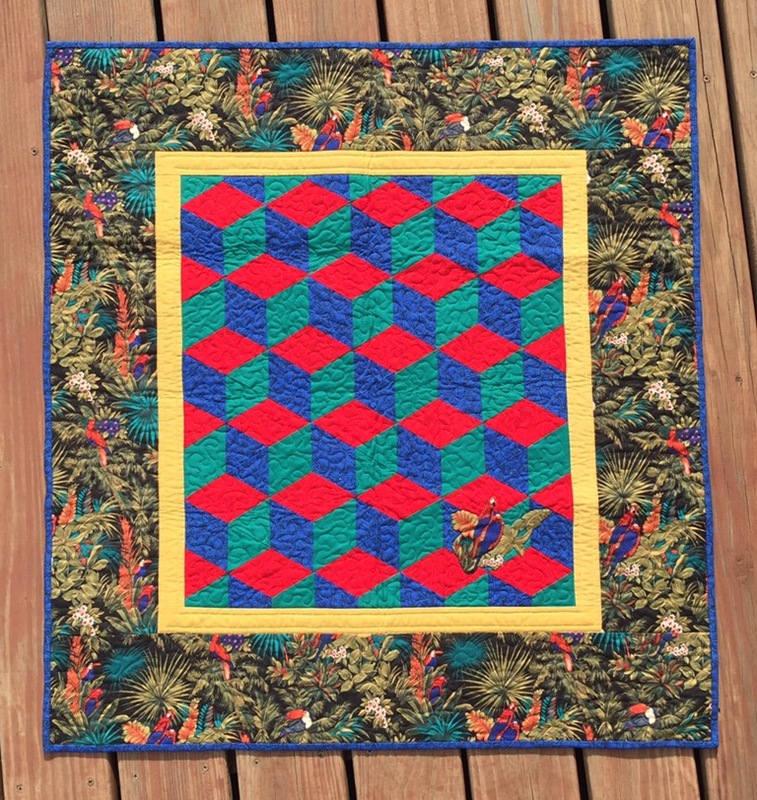 Just guessing here, would the size be right for a lap quilt for an individual confined to a wheel chair? i like the log cabin one- clever use of the last 2 blocks, too! I had to chuckle about your last quilt- I have lots of quilts like that, too. ones I made when I first started, and they’re not really that great, or very out dated. BUT- I don’t know what to do with them! if you think of anything, let me know!